Hello Dear SDC readers! As you can see I am back! After a break I had to take due to inconveniences with my internet connection. 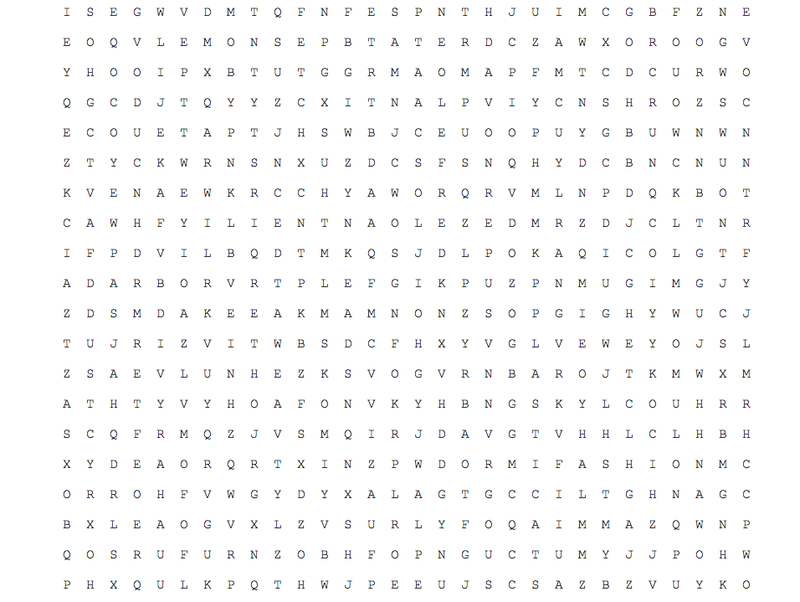 I decided for this week to have a fun word search. For this we are going to do things different and funner. Every time you find a word post a picture of where the word is in the comments section. YOU CAN ONLY GUESS 1 WORD PER COMMENT. You have to post a pic of the word you found highlighted or circled. EACH WORD IS A DIFFERENT PHOTO. You can guess up to 2 words, after you guessed 2 WORDS, you cant guess anymore so that a lot of people can win. Each guessed word equals to a free article belonging to the 60% off sale that must be in your wishlist. The prices would be delivered after I announce the game is over. Also pay attention for the comment section since I will be announcing which words are disqualified.